One of those examples I spoke of way back when was NETFLIX. What an astounding case study of a company completely changing its central value proposition and redefining themselves, seemingly overnight. Why did they do this? Because that’s where their buyers were. In a sense they were simply early adopters of the Follow Your Buyer approach utilized by Water Online. 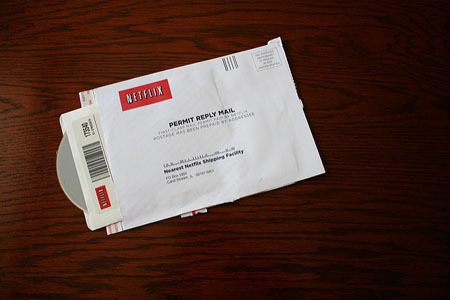 When you think about NETFLIX, it’s hard to ignore how they started in 1999. A simple concept that was revolutionary at the time. Save the time and effort of going to a video store (remember those) and have movies (DVDs) delivered to your door, plus NO LATE FEES. From there they took it a step further and expanded their library to include DVDs of successful TV shows. That sustained them for a long time until their audience moved from the now archaic DVD player to watching movies and TV shows online on their laptops, phones, and tablets. So, in 2008 NETFLIX evolved once again and over the course of two years became the leading streaming media (a new concept at that point) service in the world. In 2012, perhaps their biggest change to date came when they became an original content producer. Over the past 6 years, NETFLIX has spent more and more on original content production to top $8 Billion in 2018. Can you imagine if they listened to a crazy guy back in 2011 preaching the benefits of original content and advising them to spend $8 BILLION per year on it within the same decade? He’d be hailed as a genius! There is an opportunity here for water and wastewater manufacturers big and small. If you haven’t started down this path it’s not too late but we are approaching “zero barrier” and you need to get started now. This is about you and your audience, always has been, always will be. What will change and continue to change is what your customers and target audience need. What they need from you now and in the foreseeable future is content.